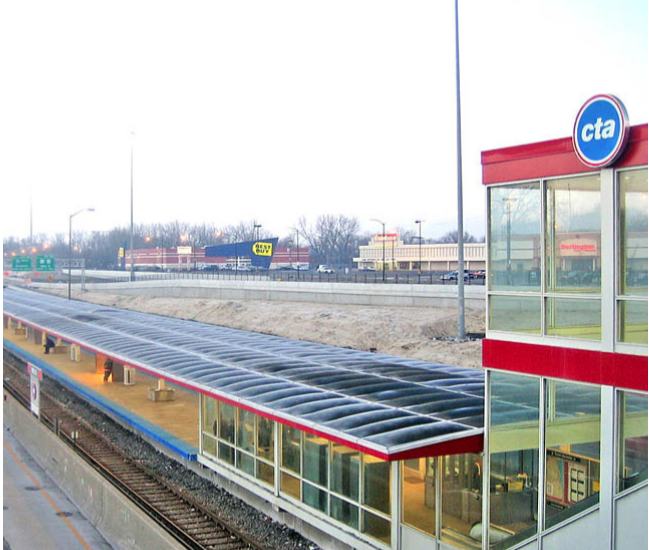 CTA DAN RYAN / RED LINE IMPROVEMENTS – Target Group, Inc.
On October 7, 2003, the Chicago Transit Board approved a $192.5 million contract to rehabilitate the Dan Ryan branch, with Kie- wit/Reyes awarded the construction contract as part of a competitive bid process. The major features of this project included the replacement of existing special trackwork and contact rails, the upgrade of traction power to include the construction of two new substations, and the upgrade and modernization of the Signal System and Communication Infrastructure. In addition, several rail sta- tions required improvements. This work included the replacement of escalators, installation of elevators at two stations, replacement of platform canopies, lighting upgrades, replacement of floor finishes, and rehabilitation of sidewalks and adjacent bus stops. program which lasted the duration of the project.